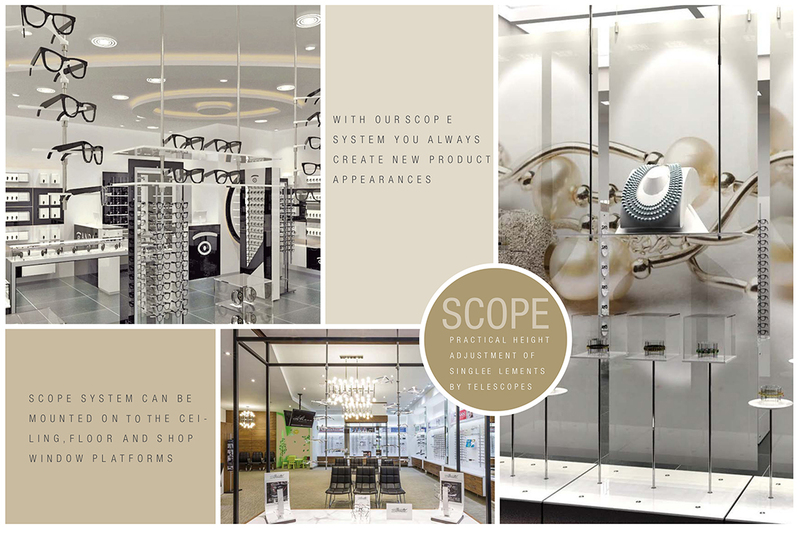 The innovative shop fitting system SCOPE offers maximum latitude for fitting and decorating shop windows or promotion areas. 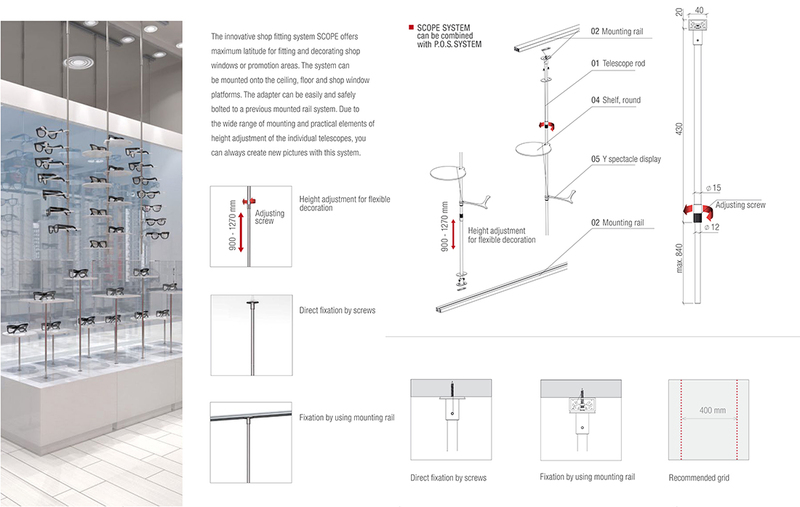 The system can be mounted onto the ceiling, floor and shop window platforms. The adapter can be easily and safely bolted to a previous mounted rail system. 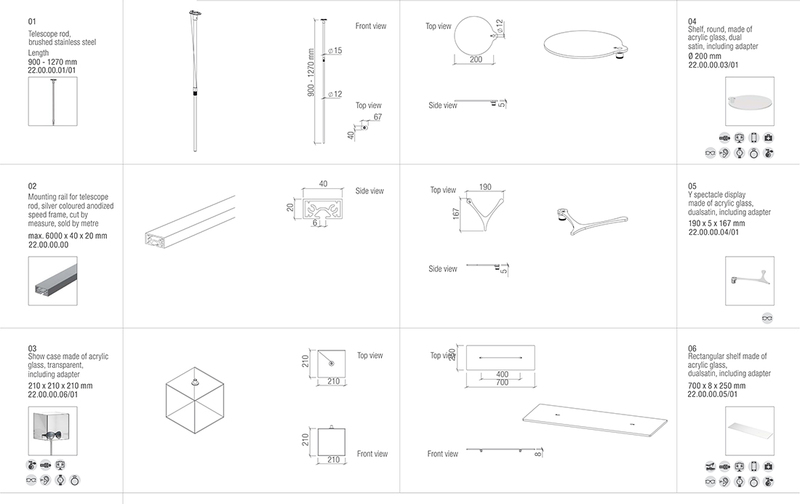 Due to the wide range of mounting and practical elements of height adjustment of the individual telescopes, you can always create new pictures with this system. Copyright � 2015 CNS Displays All Rights Reserved.